If you have watched any TV crime drama shows, you have most likely seen the actors playing the police officers giving suspects their Miranda warnings. However, when these warnings must be given and what happens when the police fail to do so is more complicated than what is portrayed in television shows and movies. Here, we discuss your important Miranda warning rights and what happens if the police do not follow this law. What Are Your Miranda Rights Under the U.S. Constitution? You have the right to have your attorney present when you are being questioned. If you cannot afford to hire an attorney, one will be appointed for you if you request this. When Are the Police Required to Give You Your Miranda Warnings? The police are only required to give you your Miranda warnings if they take you into custody. Being taken into custody means that you are deprived of your freedom of action in an important way. This does not just entail taking you to the police station and questioning you there. You can be taken into custody at your home, on a busy street, at your job, at the crime scene, and other places. Once you are arrested, you must be given your Miranda warnings before the police question you further. However, if the police ask you questions before arresting you, they are not required to inform you of your Miranda rights. Police officers will often question a person while making it clear that he is free to go so that they do not have to give the Miranda warnings in the hopes that the person will say something incriminating. What Happens If the Police Fail to Give You Your Miranda Warnings? If the police fail to give you your Miranda rights, this does not mean that the criminal charges against you will be dismissed. However, any statement or confession that you make will be presumed to be made involuntarily and cannot be used against you in court. In addition, any evidence discovered as a result of your statement or confession could be suppressed and not be allowed to be used in your criminal case. The prosecutor could try to argue that this additional evidence would have been discovered anyway by other means and that this evidence should be admissible. Voluntary statements. As long as the police do not try to get you to make incriminating statements, they are not required to warn you not to make voluntary statements. 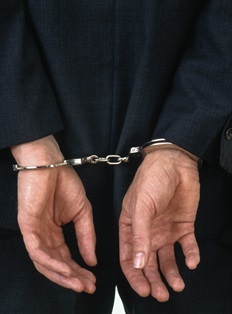 If you voluntarily offer incriminating statements, they may be admissible in court. Spontaneous declarations. Some people will express surprise when arrested and blurt out statements, such as “You got me” or “I do not know what made me do that.” If you make a spontaneous statement like this, the judge may allow it to be used against you. While the police generally give people their Miranda warnings when taking them into custody, this is not always the case. If you were not informed of your Miranda rights, this could create a strong defense to the charges against you. However, you will need the help of an experienced criminal defense attorney to raise this and other defenses to the charges you face. To learn how our criminal defense team can help you, call our office today to schedule your free consultation.